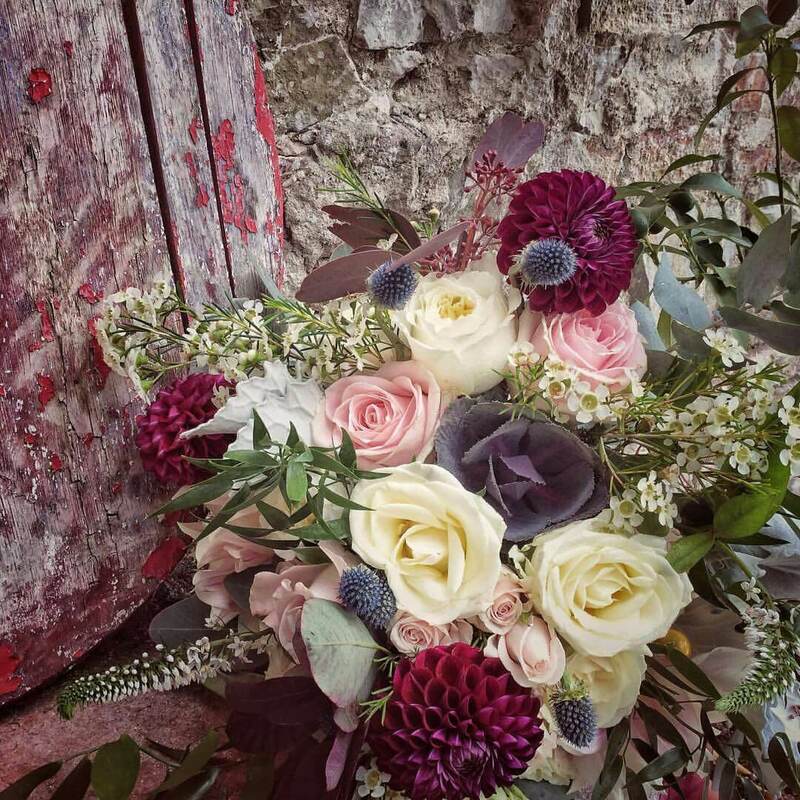 Color, shape and type of flowers: wedding trends for the new year? As we say goodbye to 2016, many couples are choosing to make 2017 the year they say “I Do”. The time between Thanksgiving and New Year’s Day is the most popular time to get engaged. So, this engagement season is quickly followed by our Planning Season! We take this time to reminisce about the recently lived weddings, start receiving wonderful professional photographers’ photos and we sum up some of the most interesting experiences and wedding trends we have seen over that past year. The first 4 months of the year, we’ll all be busy working with couples to plan their special days. We think it is fun to show what wedding trends we have noted and share them with couples as many are great and continue whilst others are new entries. We predict there will be some very romantic 2017 trends – the colors, design styles and floral varieties adorning the tables and bouquets this coming wedding season. We have all heard Pantone’s main color pick for the year and that is Greenery. It is a spring deep lime green that is fresh and happy. But there is a whole spectrum of colors they have chosen for spring. (see below). Blush has been the number one choice for the past 3 years but now we are seeing a shift towards richer and deeper colors like burgundy and purple to go with creams and peach. There will be mixes of flowers in different tones and shades to make for a wow-factor impact. Tight, round bouquets with no or very little greenery seem to be a trend that has passed. We have done big, loose, organic bouquets in 2016 and for 2017 the “just picked and naturally thrown together” look is still big. Bouquets are stretching out horizontally and are full of interesting branches, ribbon and green foliage. Grey leaves seem to be a favorite pick of the past. Glam and unique chic is slowly replacing the country, rustic look. Burlap and mason jars are being replaced by a mix of more interesting vases of all different shapes: mini urns, rust and bronze as well as silver mercury glass, brushed gold. We are seeing more interesting and richly colored runners and accents on the tables for 2017. There will be more candelabra in different heights. made of glass, metals and moss covered stems. Our fab florist says that whether you want all roses, or a mixed arrangement with a variety of blooms, the look in the new year is all about layers, lengths and cascading – natural romance with a modern twist.